It’s Monday and the kids are back in school! Hooray! Spring Break is over! For the past four weeks I’ve been working on this afghan stitch-along with The Crochet Crowd and I’ve learnt quite a few new things like crocheting cables and popcorn stitches. And this week I’m working on putting the final border on. We didn’t do all that much over spring break – the husband was busy working so we didn’t get to travel anywhere. But we did some fun stuff around our city, plenty of play time and playground stuff, and when a pineapple express decided to head our way, the boys got building their Lego Ninjago sets! Together with the kids, we’ve been watching The Kids Baking Championship via Sling TV. It’s quite amazing what some of these kids (aged about 11-12) can do, not just in terms of decorating but also their choice of flavors. Not quite sure yet this week. Pork chops perhaps. Some fried beehoon or rice vermicelli with carrots, green beans and tofu. ← Previous Post It’s Monday and someone turned 7! Look at you with your crafting! I’m so impressed! 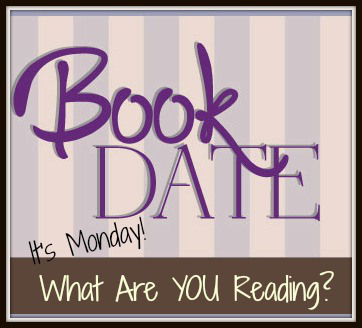 This Monday I’m finishing up Brittney Cooper’s book Eloquent Rage and hopefully Ursula Vernon’s Clockwork Boys as well! And if there’s any time left over I’m going to launch into Martha Wells’s second Murderbot novella, which I’m v. excited for. Ok you have just informed me of three books that I have not heard of before!!! And now I have to go and find out more about them..